Solid, no jams and priced right. Great for fun, training, and tactical training for law enforcement. I've tried others, but my S&W M&P 40 Shield loves this ammo for practice. My first order from LuckyGunner, and won't be the last. Good prices, fast shipping. This ammo was flawless, clean, and no FTF or FTE's at all. 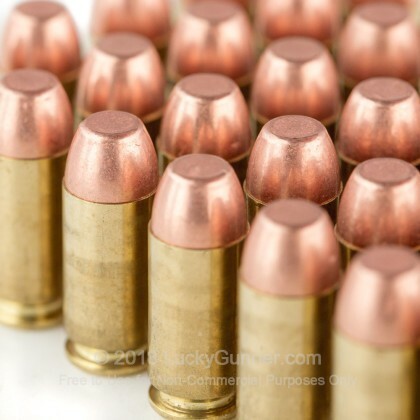 My Glock would eat these rounds all day long. 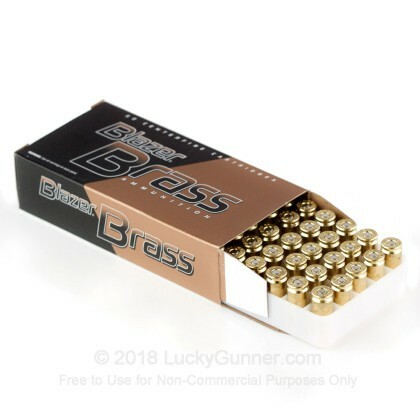 I've shopped at several ammo supply websites and I seldom find better ammo at better prices than LG. I have purchased other ammo/calibers from LG too. The shipping is fast and very reasonable. I am now a faithful LG customer! 25th round of the box seemed to have blown up or something or I had a squib load because my target was peppered with pieces of copper and lead (~3 yards distance). Gave me a big scare since I was concerned my pistol (S&W Pro Series C.O.R.E.) had some damage to it, turned out it was ok, but from now on I will use other brands to practice with. 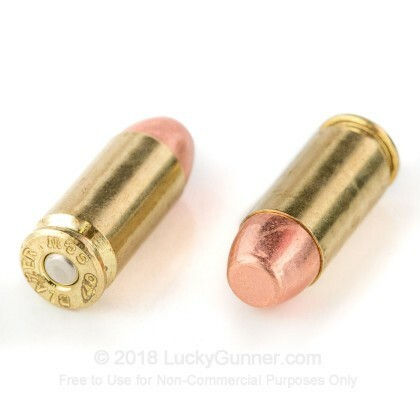 Brass case rounds worked without a hitch. Had no problems with this round. In fact I never had a problem with the aluminum case round. The only problems I ever had were .40 caliber reloads. Through the Wolf barrel no problems. Through the Glock barrel had quite a few feeding problems due to case bulge on the bottom of the round. I purchased a box of 40 s&w and a box of 357 sig ammo for my sig p229 shot both boxes without a problem ammo was great I will be getting more soon. 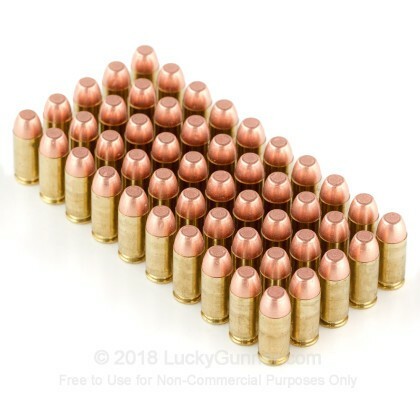 I use this ammo to shoot regular and is the most accurate for pricing. Never had problems with this ammo except not having enough. I can always count on LG with their stock and unbelievable super fast shipping. Thanks!!!! I have put over 800 rounds through my xdm 40. This ammo cant be beat for the price. As always lucky gunner is the best place to purchase ammo. Fast shipping, great prices and reliable service. Thanks. Bought this for a training class and went through over 400 rounds without a jam or FTF. Can't beat the price and they shot great groups. Will buy again, especially from this website! Works great in my .40 cal Springfield XD. Not too dirty and shoots very smooth. No jams. I have shot several hundred rounds now of this ammo and it works flawlessly in my Glock23 - no jams, misfires or ejection problems at all. This and PMC Bronze 165 grain are both great range ammo. LuckyGunner has great products and great service! 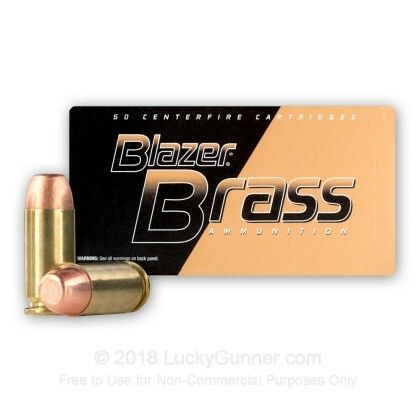 I have literally shot tens of thousands of rounds of this ammo from Blazer Brass and never had a single problem - ever. 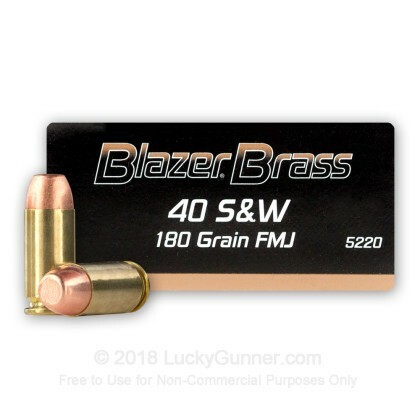 We also have this 40 S&W - 180 Grain FMJ - Blazer Brass - 1000 Rounds ammo in stock in a bigger quantity.